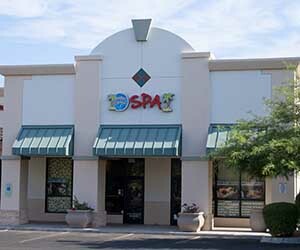 Check out what has been happening at the Scottsdale location. Did everyone have a safe and festive holiday season? We sure hope so! The Scottsdale spa celebrated by having a fun little Christmas party at Cold Beer and Cheeseburgers and everyone had a fantastic time. The new year has finally arrived! This year, we plan to make some major renovations to the spa. We just know that our guests will be very satisfied with the changes that are in store. We would also like to, once again, thank all of our guests for the marvelous feedback! It really helps us to know if we are doing an excellent job. We hope that you will continue to share feedback with us so we can make your experience even more enjoyable. You can share your feedback by taking our survey which is attached to your receipt. You will then be entered into our monthly drawing for a free service. This month, we would like to welcome our newest therapist, Gary, to our ohana! He started in the beginning of December and has been doing great. Gary has been a massage therapist for 9 years and was hired as one of our senior therapists. We have two birthdays to celebrate in January, including mine on January 21st and Jordan’s on January 16th.